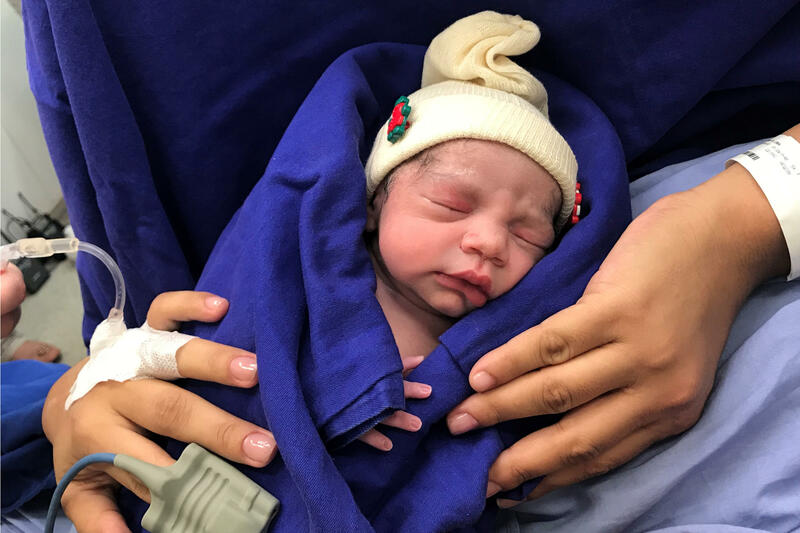 LONDON — Brazilian doctors are reporting the world's first baby born to a woman with a uterus transplanted from a deceased donor. There have been eleven previous births using a transplanted womb, but from a living donor — typically a relative or friend. The baby girl was delivered last December by a woman born without a uterus due to a rare syndrome. The recipient, a 32-year-old psychologist who was not identified, became pregnant through in vitro fertilization seven months after the transplant. The donor was a 45-year-old woman who had three children and died of a stroke. She gave birth by C-section. Doctors also removed the womb, partly so the woman would no longer have to take anti-rejection medicines. Nearly a year later, mother and baby are both healthy. The woman was initially apprehensive about the transplant, said Dr. Dani Ejzenberg, the transplant team's lead doctor at the University of Sao Paulo School of Medicine. "This was the most important thing in her life," he said. "Now she comes in to show us the baby and she is so happy." Uterus transplantation was pioneered by Swedish doctor Mats Brannstrom, who has delivered eight children from women who received wombs from family members or friends. Two babies have been born at Baylor University Medical Center in Texas and one in Serbia, also from transplants from living donors. The Cleveland program is continuing to use deceased donors. Falcone said the fact the transplant was successful after the uterus was preserved in ice for nearly eight hours demonstrated how resilient the uterus is. Doctors try to keep the time an organ is without blood flow to a minimum.